It’s impossible to determine what makes up a just economy without a worldview of life and existence to base it off of. What is fair to one person may not necessarily be fair to another. So how does one reconcile ‘fairness’ and ‘equality’ within society? To answer this, the source of morality and the social nature of man must be designated. For the past few hundred years, two opposing philosophies have sought to resolve the issue of morality. One emphasized the priority of the community over the individual and sought to establish a Humanistic, egalitarian society. That is to say, they wanted the equality of all people politically, economically, and socially. Conversely, the other approach, also Humanistic, promoted the subjective goals and values of each individual and had no obligation to be responsible to the community. These differing viewpoints are based upon the worldviews of collectivism and individualism. Both views of man are dangerous and morally wrong, for nearly anything can be justified in both these philosophies. 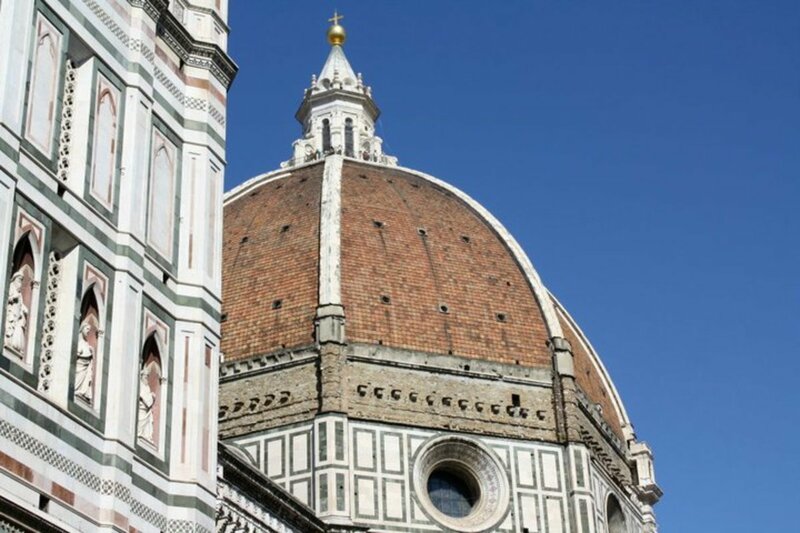 Contrary to these worldviews, the Catholic Church holds the proper view of man and his destiny. Catholic Social Teaching says that man should be treated as an individual, and yet he must do his best to contribute to the common good. Income inequality is “necessary” because mankind has unequal condition. Man’s purpose does not lie in this material world and the poor, sick, and elderly are to be treated with charity. The State should only intervene in economic or social matters on rare occasions. “Man remains above all a being who seeks the truth and strives to live in that truth”. Material wealth is simply a means to an end and Catholic Social Teaching is the approach that preserves human dignity. In order to trace the etymology of collectivism and individualism, we must start at the beginning of a new political philosophy that sought to determine moral value on reason rather than faith. The English philosopher, John Locke (1632-1704), based this philosophy on a new view of property known as the allodial system. During the 17thCentury in which Locke lived, a period known as the Enlightenment was sweeping across Europe. During this cultural movement, mankind was stemming away from faith-based moral discourse in an attempt to root all things in empiricism or doubt. “Doubt had replaced certainty” and Locke was leading the way in empiricist thought. His new view of property was radically different than in years past. Essentially, the feudal system that had been in place for hundreds of years acknowledged that property was common to all and everyone had responsibilities associated with the land. 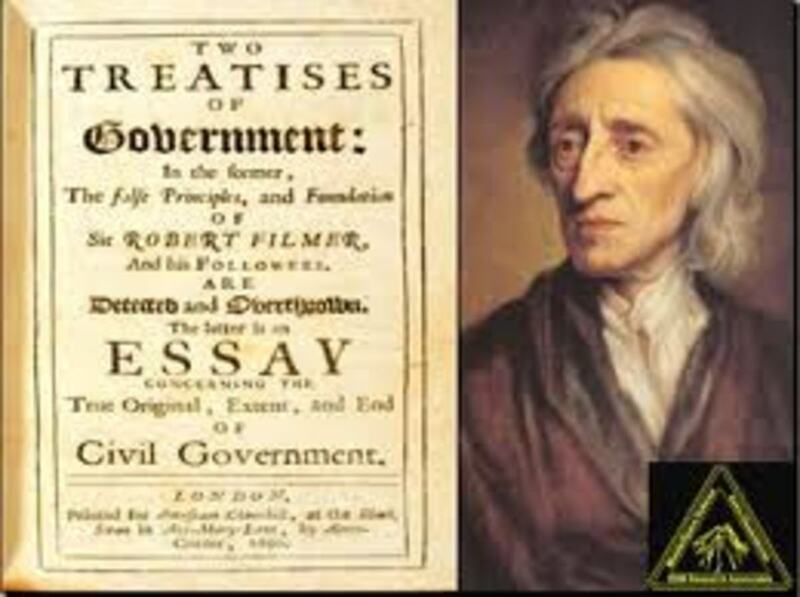 Locke contested that man was an individual first and that he willingly chose to join in a political society in order to secure his rights of life and property. For the past few hundred years, feudalism was what society had shaped itself around. 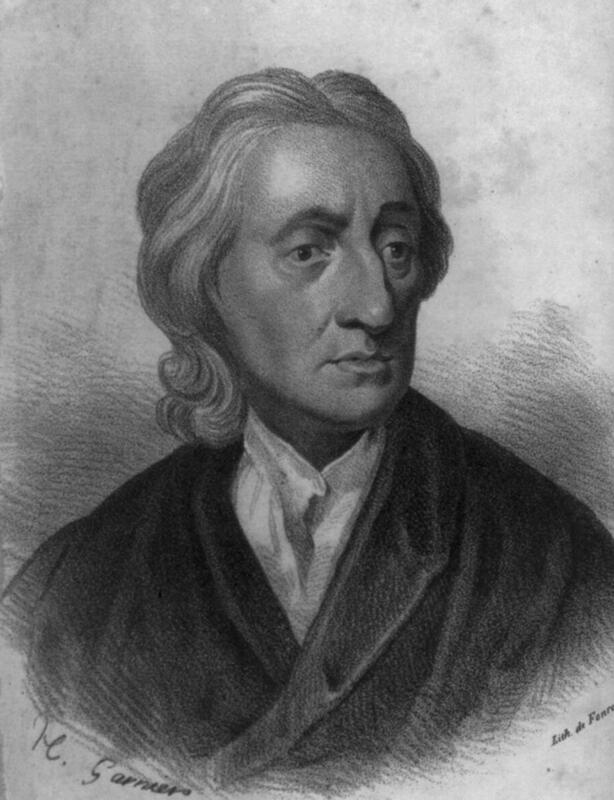 Now, Locke and other Enlightenment thinkers were proposing a change in thought. Man should be looked upon as an individual and given the opportunity to possess property of his very own. Locke’s view of property was based on labor. He believed that someone could only truly possess property if he applied some form of labor to it. That is, work is transitive in the sense that a man participates in the work of creation, transforming some object in the world into something else. Therefore, if a man puts his labor into something, it becomes his private property, something Locke clearly supported. This idea of private property will play a significant role in the moral theories of future philosophers and economists. Perhaps the most important contribution Locke made to economic and political thought was his labor theory of property. Since man owns his own body, he therefore owns his labor and whatever labor he puts into an object, that object becomes his property.For example, a man who tends his garden and labors over it consequently comes to own it since he has essentially put a part of himself into that garden. Locke’s view of property basically placed values in the realm of personal satisfaction, of what was best for the individual and not necessarily the community. In keeping with the Enlightenment mentality, another individual attempted to explain morality with reason and without faith. This Scottish thinker suggested a radical philosophy in order to explain how humans behaved and how social relations were organized. 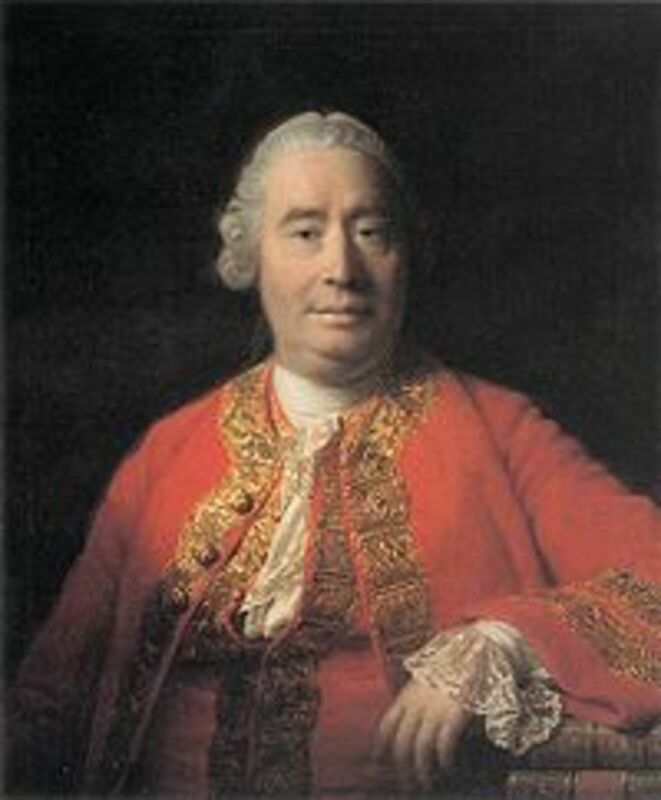 David Hume (1711-76) followed in the footsteps of Locke’s individualism. In order to account for the decisions of a man, Hume proposed a simple, yet erroneous, philosophy of thought called hedonism. In other words, every decision one makes is based upon the ‘pleasure’ or ‘pain’ it generates. Hume based his idea of morality on utility and self-interest, but this poses a serious problem. With his theory, one can justify nearly anything if more pleasure is achieved. Furthermore, pleasure is subjective; there is no universal definition so what is pleasurable to one person could be painful to another. This type of thinking led to what is referred to as utilitarianism. This ethical theory states that the proper course of action is the decision that produces the greatest amount of ‘happiness’, for either the individual or society. Furthermore, this view necessarily implies that the ends can justify the means. If more ‘happiness’ or ‘pleasure’ is to be achieved, then the decision that achieves that ‘goodness’ is the proper course to take. Hume further believed that it was desire, not reason, that governs human behavior. This desire is what led him to suggest the ethical theory of hedonism, which ultimately leads to utilitarianism. The etymology of collectivism and individualism began with John Locke and continued down to the Scottish philosopher and economist, Adam Smith. 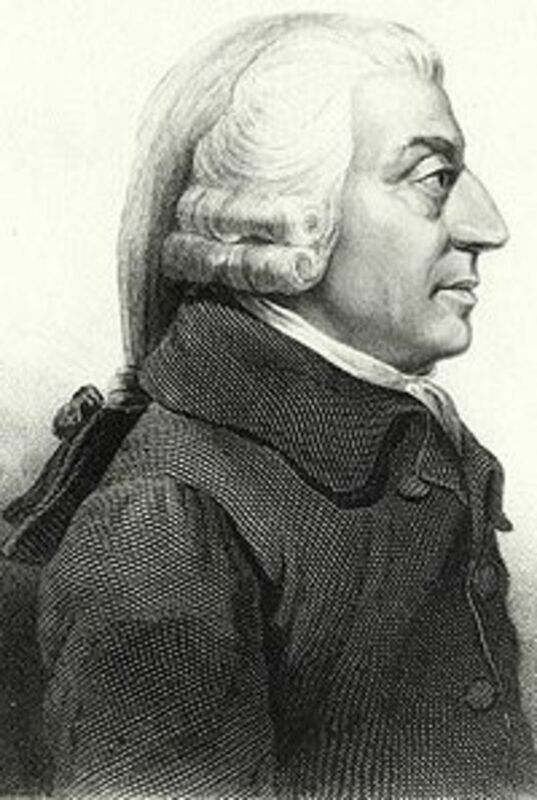 Adam Smith (1723-90), who is widely regarded as the father of capitalism, ironically antagonized the horrors of capitalism in England in the 18th Century. Suffering and ferocious living conditions plagued the English working class, and Smith endeavored to illustrate that society could move beyond this cruelty with the help of the individual. His laws of the market explain how individuals with the same drive of self-interest create competition, which results in the creation of products and services that the public wants. However, a society full of selfish individuals will inevitably lead to more suffering, would it not? Greedy, profit-seeking capitalists would squeeze the life out of society, right? As a matter of fact, Smith believed competition was the regulator of such greed. For instance, Smith touts that if a company attempts to raise prices on its goods in an attempt to cheat the consumer and make more profit, other companies will simply keep, if not lower, their own prices and force the greedy company out of business. Competition forces the companies to pick a price the consumer is willing to live with. Ultimately, Adam Smith believed in the importance of the individual and his self-interest in the economy. “It is not from the benevolence of the butcher, the brewer, or the baker that we expect our dinner, but from their regard to their own interest. We address ourselves, not to their humanity, but to their self-love, and never talk to them of our own necessities, but of their advantages”. The self-regulating free market was the most assured way to create a better society, which he believed was always improving. Within the 18th Century, two other economists held a radically different worldview than Adam Smith. Whereas Smith believed society was always on an upward slope of improvement, Thomas Malthus and David Ricardo believed society was desperate, crowded, and unfair. Now, the etymology of economic morality comes to Thomas Malthus (1766-1834) who had utilitarian beliefs and believed that the individual was subject to the community. After Smith had died in 1790, there was a clear change in attitude regarding capitalism. Whereas Smith was hopeful, Malthus was gloomy and demoralizing. His overpopulation theory stated that there were too many people in the world with too few resources available. Since there was a finite amount of land in the world, he posited that when population increased there would be less food to distribute and as a result, there would be widespread starvation that held the population down. This was essentially his answer for why society was so unfair and desperate. As a result, he proposed some positive and preventative checks in order to improve society. Positive checks raised the death rate and preventative checks lowered the birth rate. Malthus believed “a certain degree of improvement” could take place in humanity but not without “condemning all the bad specimens to celibacy”. Ultimately, Malthus wanted society to be more egalitarian and his speculations on eugenics heavily influenced others down the road. Malthus considered it actually harmful and cruel for man to help the disabled and the sick. Rather than helping the poor, he was in favor of letting them die. For instance, in his Essay on the Principle of Population , Malthus stated, “we should facilitate, instead of foolishly and vainly endeavoring to impede, the operation of nature in producing this mortality”. 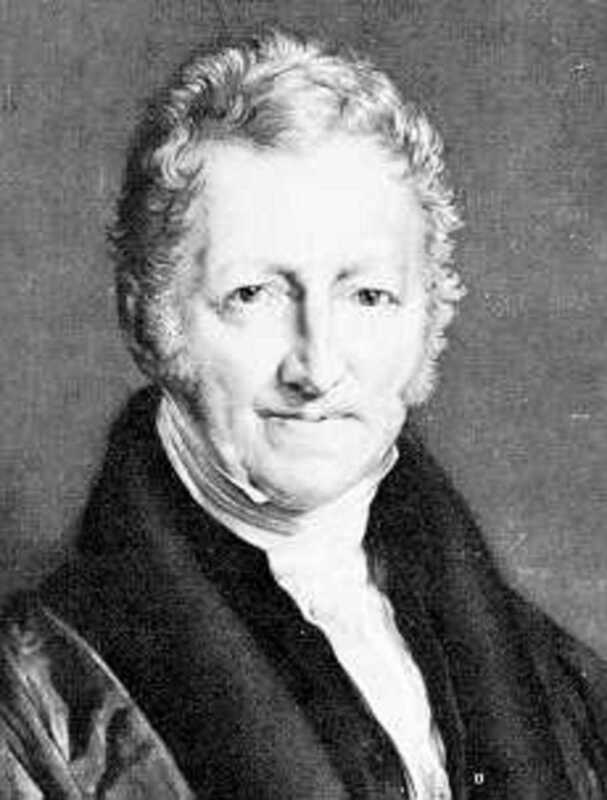 Although he approved of positive checks, Malthus emphasized more preventative checks in order to solve the population issue. He suggested mankind employ a ‘moral restraint’, like celibacy until marriage, in order to fend off increasing population. However, his theory of overpopulation has been disproved numerous times and his views on population would not be worth mentioning today had they not affected future thinkers and economists. 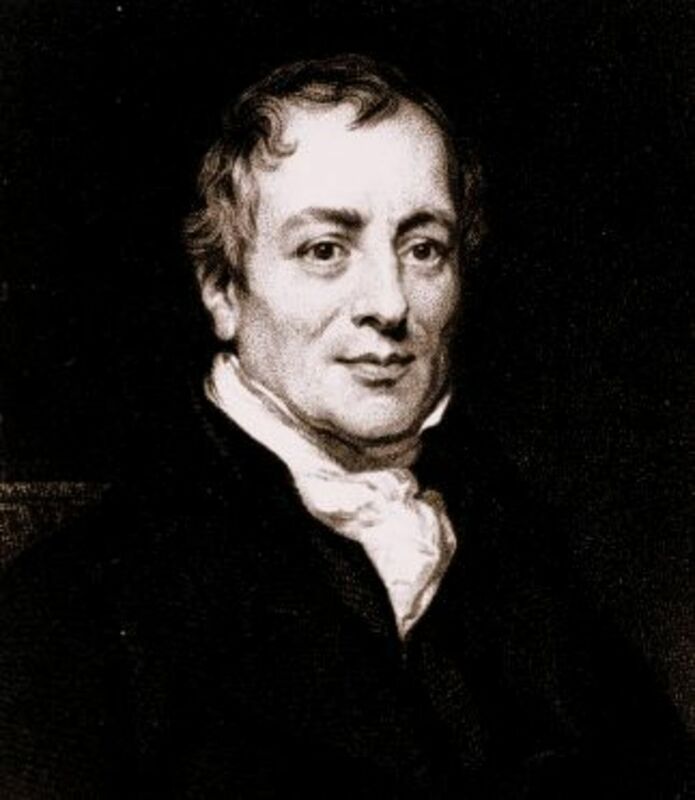 At the same time, David Ricardo (1772-1823), a friend of Malthus, was laying the next intellectual stepping-stone for the labor theory of value and marginal utility. Ricardo agreed with the Malthusian population issue and his outlook on society was just as negative as that of Malthus. Ricardo attempted to explain the situation that society had gotten itself into. Why was there unequal distribution of wealth? Why did the landlord make an unearned increment? Ricardo and Malthus successfully “changed the viewpoint of their age from optimism to pessimism”. Smith believed society was constantly improving and that everybody benefited from population growth. Ricardo, on the other hand, speculated that only a few benefited from the system and that population growth actually hindered mankind. Smith pioneered the labor theory of value, but it was Ricardo who solved the capital aspect of the theory. Ricardo stated that the value of any object can and should be equal to the amount of labor needed to produce that object. It was Ricardo who determined capital to be nothing more than a series of ‘time-dated’ labor.Essentially, everything was reducible to labor. It was future economists and thinkers that would take these hopeless outlooks on society and attempt to alleviate the pain and suffering. Some chose to pursue their goals by means of collectivism while others chose pure individualism as their solution. As far as Catholic Social Teaching is concerned, neither approach was adequate. 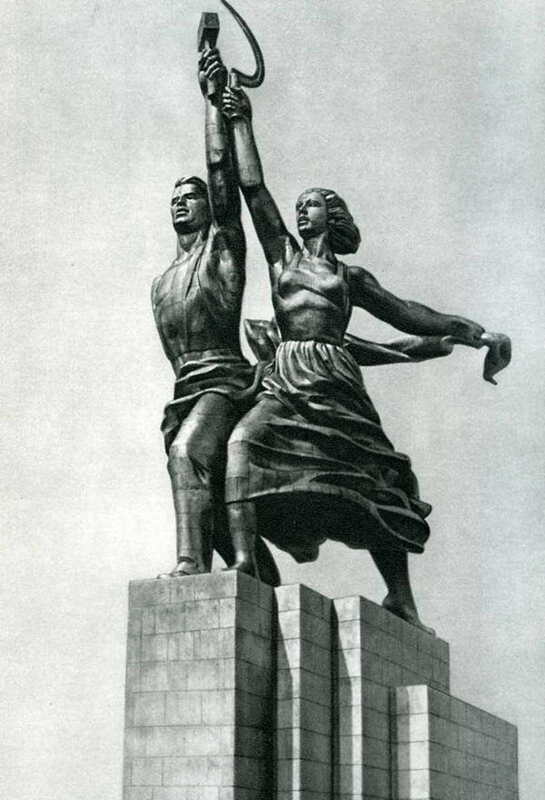 Now that the etymology of modern economics has progressed thus far, it is time to delve into the etymology of the socialist philosophy, that is to say, the collectivist mentality. For the purposes of this paper, two predominant historical figures have been chosen to help elucidate this collectivist mentality, this notion that the ends can justify the means and that society is more important than the individual. There appears to be a breakoff point between Thomas Malthus and David Ricardo. While Malthus was more of a utilitarian, and accepted that wealth could be attained without work, Ricardo was a labor theorist who believed in the values of the old order, that labor is what gives something its true value. This is where the etymologies of collectivist and individualistic philosophies separate and begin their own journeys. The collectivist mentality seems to begin with Charles Darwin, followed by Karl Marx, and eventually climaxed with Joseph Stalin as the logical outcome of such thinking. For those who advocated individualism, it diverged from Malthus to begin with Ludwig von Mises, continuing with Friedrich Hayek and ultimately ending with Ayn Rand. These two approaches to answering economic morality in the world both fall short of the truth. Catholic Social Teaching informs us “life on earth…is not the final purpose for which man is created; it is only the way and the means to that attainment of truth and that love of goodness in which the full life of the soul consists”. Beginning with Charles Darwin (1809-82) immediately after touching upon Malthusian concepts is appropriate. After all, Darwin in his book, The Descent of Man, explained that our ‘sympathy’ was what was responsible for the ‘weak surviving and propagating their kind’. This was an intellectual stepping-stone from the thoughts and theories at the time of Malthus. Basically, Darwin took this idea of misdirected compassion for the poor from Malthus and applied a scientific aspect to the mix. Individuals such as George Bernard Shaw and Margaret Sanger also openly praised population control. Sanger, in her book, Woman and the New Race , said large families were immoral and “the most merciful thing that the large family does to one of its infant members is to kill it”. Shaw explained that those who are of no use in this world should justify their existence. “If you can’t justify your existence, if you’re not pulling your weight in the social boat, if you’re not producing as much as you consume, or perhaps a little more, then clearly we cannot use the big organization of our society for the purpose of keeping you alive, because your life does not benefit us and it can’t be of very much use to yourself.” Without a doubt, one can see here that it is the collective that determines the fate of certain individuals. The rights of the individual are subjected to society, or the ‘common good’. Darwin’s process of natural selection, where the weak die off and the fittest survive, led some in the future to try to accelerate that supposed process for humans. However, Darwin’s idea of evolution was taken by another man and slightly adjusted. 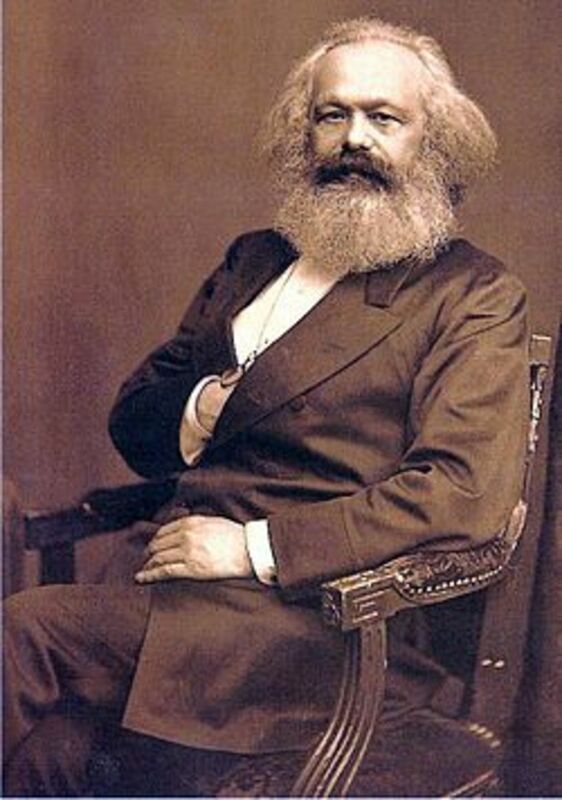 Karl Marx (1818-83) is most widely remembered for authoring the Communist Manifesto and proclaiming the inevitable downfall of capitalism and the dawning of socialism. Nothing could prevent the conquest of communism and nothing could stand in its way. Essentially, Marx believed the evolution of man was destined to go from inequality to equality. Continuing with the etymology of collectivist thinking, Marx too supported the idea that the ends can justify the means. In other words, if the ‘common good’ of society benefits from the sacrifices of a few, then by all means pursue that goal. This notion can lead to radical decisions and outcomes, as mankind will see later on in the 20th Century. Marx also held the notion that the bourgeois private property should be abolished.This was a radical change from previous thinkers who promoted the benefits of private property, like Locke and Smith. Marx believed it was necessary to make everything equal so that every man could achieve material subsistence in this world. Prosperity in this world mattered because to Marx, “the real unity of the world consists in its materiality”. He considered religion to be a theory of the world, an illusion, the “opium of the people”. This Humanistic thinking would inevitably affect many others down the road, especially the Premier of the Soviet Union, Joseph Stalin. As leader of the communistic Soviet Union, he murdered at least five million Ukrainians within one year. Vladimir Lenin and Stalin killed people based on class in order to advance the evolutionary process of communism and move mankind into a new age of social harmony. Indeed, it is clear to see how Marx influenced these individuals to take extreme measures for the sake of the collective. While Stalin is the pernicious, but logical, outcome of the collective ideology, there is one individual who is the logical outcome of the individualistic ideology. However, before he is considered, the etymology of individualism must be examined. 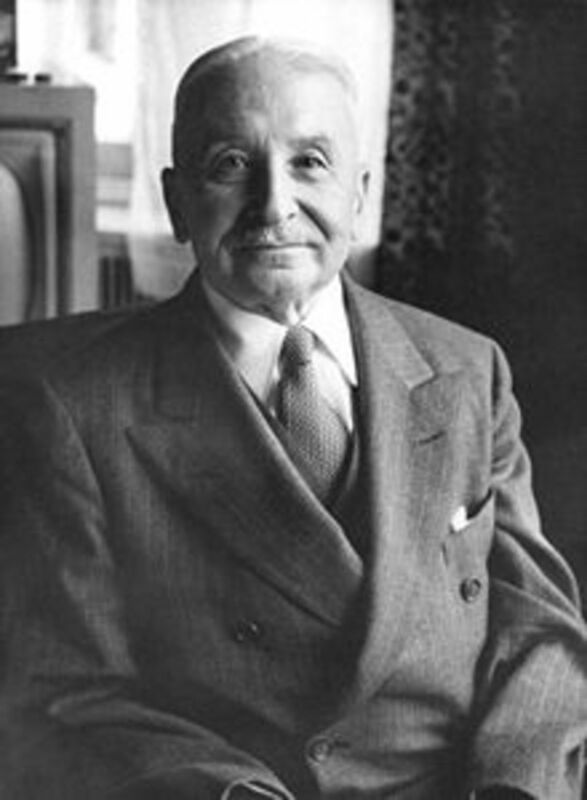 The process begins with Ludwig von Mises (1881-1973) who was perhaps one of the most substantial advocates of marginal utility. His work, Human Action, described a philosophy rooted in utilitarianism that is known as praxeology. Hume hypothesized that desire governs human behavior. In a similar way, Mises theorized that satisfying discontent and achieving personal benefits were the root of all human action.Naturally, this concept of morality had no room for charity and selfless deeds. After all, how can self-interest and personal gain account for tithing, charity donations, or sacrificing one’s life for a friend? The moral stance of individualism has no accountability to anyone and is opposed to State intervention in nearly every situation. 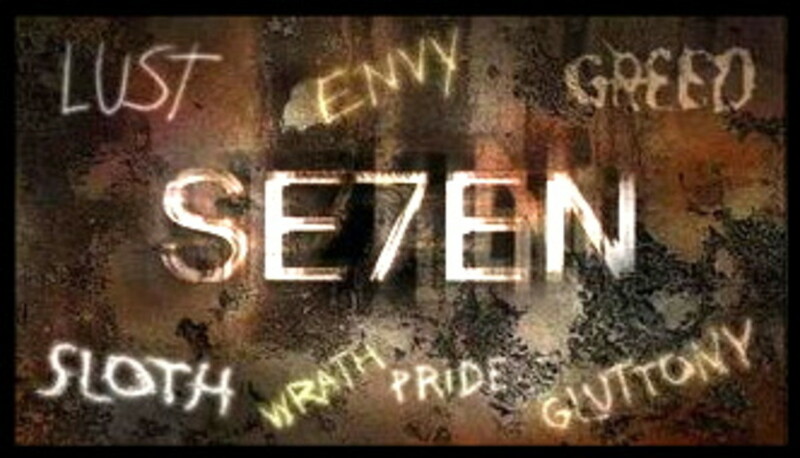 Therefore, greed and selfishness become a force to be reckoned with. All that matters is personal gain and with regards to society, its general good can be reduced to a simple calculation of pleasure over pain. Essentially a form of hedonism, praxeology attempted to account for morality and human action with nothing but reason, a point of interest left over from the Enlightenment. Mises heavily influenced someone who would come to personify capitalism and individualism itself. Friedrich Hayek (1899-1992), a pupil of Mises, followed in his mentor’s footsteps and attempted to account for morality on the basis on unfettered individualism. 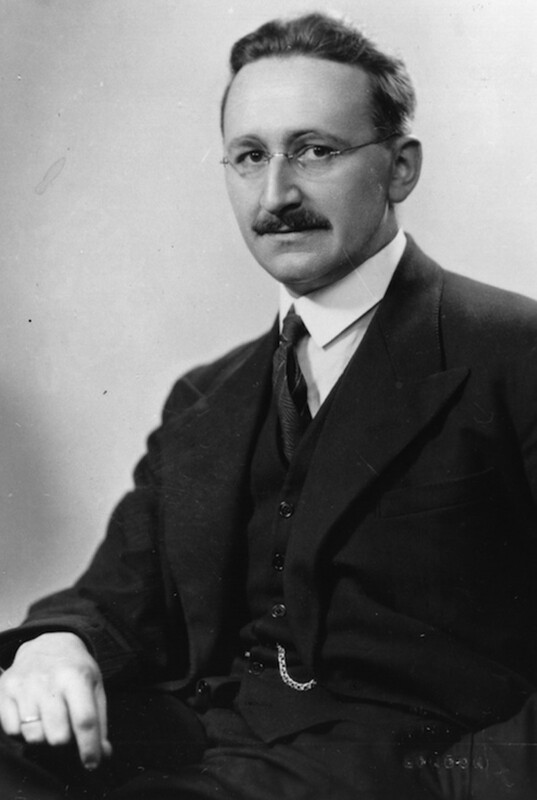 Rather than there being an economy, there was a catallaxy, which Hayek described as “the order brought about by the mutual adjustment of many individual economies in a market”. In other words, the community is full of individuals with diverse values and goals as opposed to a community with a common set of values and goals. Here again, the hedonistic notion of pure self-interest is the driving force of morality. Hayek believed the economy was organic and spontaneous, and that no one was placed in his or her position in society through any form of design. Hayek concludes, “The differences in reward simply cannot meaningfully be described as just or unjust”. Ayn Rand, who was also influenced by the theories of Mises, believed “man is an end in himself”, man’s own happiness is “the moral purpose of his life”, and that religion turned “morality against man” and placed it beyond his reach. Hayek and Mises had an incomplete view of reality. They placed individual priority over that of the community. Hayek was agnostic and thought that the “source of order” was “not outside the physical world but one of its characteristics”. This Humanistic thinking that rejects religion as a basis for morality and decision-making inevitably leads man to subjective morality. For Hayek and Mises, morality was based on human reason and praxeology. The logical climax of utilitarianism thus comes to reject religion and anything metaphysical, like truth and objective goodness. The etymology of collectivism and individualism have thus been led to their natural conclusion, with collectivism placing the goals of society above individuals and with individualism placing the goals of individuals above the community. Both fall short of reality and the social nature of man. Catholic Social Teaching reconciles these two philosophies and creates a proper balance between the two. 1. Private property is good. 2. Unequal fortune is natural in society. 3. Man is not fulfilled in the State or the market. 4. The individual should be respected and contribute to society. 5. Society should respect the individual. 6. The State should rarely intervene in economic issues. 7. The poor, sick, and disabled deserve charity and should be allowed to contribute to society. 8. Collectivism and individualism are Humanistic and therefore morally wrong. 9. The basis of morality comes from God. The first to be scrutinized is John Locke and his view on private property is in accordance with Catholic Social Teaching. 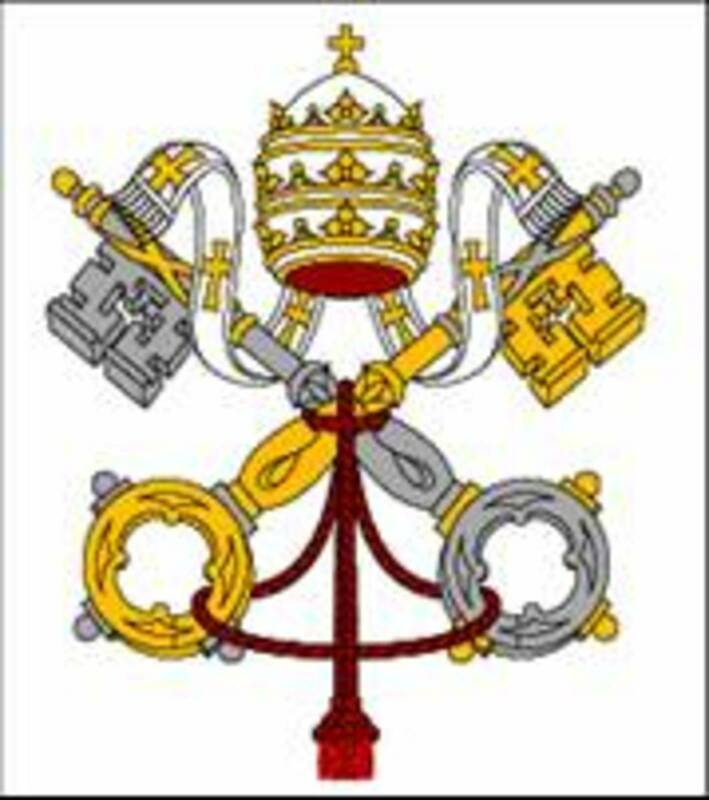 Rerum Novarum states that “the principle of private ownership [is] in conformity with human nature, and [is conducive] in the most unmistakable manner to the peace and tranquility of human existence”. Paragraph Nine in the encyclical also confirms the labor theory of property in that the labor a man puts into an object makes it his property. The Church agrees with this so long as man does not become preoccupied with the things of this world. Next is David Hume and his hedonistic philosophy. Essentially, Hume based morality off of pleasure and pain, which allows nearly anything to be justifiable. Centesimus Annus responds with, “The essence of freedom then becomes self-love carried to the point of contempt for God and neighbor, a self-love which leads to an unbridled affirmation of self-interest and which refuses to be limited by any demand of justice”. Hedonism paves the way to selfishness and subjectivity. With regards to Adam Smith and his notions of self-interest, we begin to see a society shaped around individualism. Smith believed that society was constantly improving through the actions of the individual and the suffering that was present at the time would come to pass. Since competition regulated selfishness, he postulated that the economy was self-regulating and good would materialize on its own. “Let good emerge as the by-product of selfishness”. Smith’s understanding that private property is good, that the individual builds society, and that the community is just as important as the individual places him in accordance with Catholic Social Teaching. Thomas Malthus represents a turning point in the debate over morality. His theory of overpopulation is associated with collectivism through the belief that the whole of society will improve if a part of it is sacrificed. His feelings on leaving the poor to die is in direct opposition to that of the Catholic Church which states that one purpose of society is to create funds and programs to help those “in the cases of accident, but also in sickness, old age, and distress”. His notion that man could be bred into a better being implies that man has the potential to be equal in every respect. But Rerum Novarum says, “There naturally exist among mankind manifold differences” and that “such unequality is far from being disadvantageous either to individuals or to the community”. David Ricardo, in a similar way to Malthus, believed population growth was a hindrance. Therefore, he is in disagreement with the Church that every individual is valuable to society. Poverty is no disgrace and “all citizens, without exception, can and ought to contribute to [society]”. However, attributing all property to labor seems to coincide with the Church. 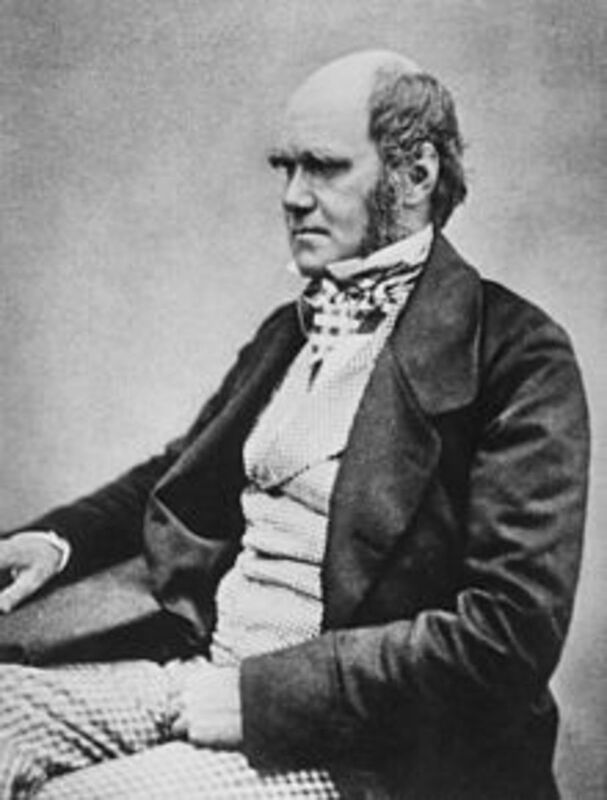 When it comes to Charles Darwin, the evidence is clear. An egalitarian society will never exist. “The futile and shallow pretext of equality” led Darwin, and others, to pursue the goals of society at the expense of the individual. In other words, the ends are justified by the means. Karl Marx springs forth from this Humanistic idea and concludes that unequal fortune is unjust, the physical world is all there is, private property is bad, and the collective is superior to the individual. Socialists use their envy to rid society of private property and this is unjust. Marx goes against the Church when he says the physical world is all there is. “God has created us for things heavenly and everlasting; He has given us this world as a place of exile, and not as our abiding place”. Rerum Novarum explains that society should promote ownership and property will become more equitably divided. As far as the relationship between the individual and society goes, Centesimus Annus promulgates that the State must enact just laws so that no one group becomes subservient to the other. The philosophy of individualism expounded upon by Ludwig von Mises has one major danger in it: it is based off of hedonism. There is essentially no point to charity for it does not benefit the individual who donated. His basis of morality is based off of Humanism as opposed to God. Clearly, the Church adamantly disagrees. “Benevolent foundations” should be established to help those in need. The Church’s “specific and decisive contribution to true culture” is found in helping man understand himself and his own destiny. Finally, the beliefs of Friedrich Hayek are also subject to review. He was correct to point out that nobody by design was given his position in society. However, his unabashed endorsement of a hedonistic morality and his denial of God have placed him outside of the Church’s approval. In conclusion, Catholic Social Teaching explains how both collectivism and individualism are immoral and inherently dangerous. The individual is not subordinate to society, and yet everyone still has “a collective responsibility for promoting development”. Private property is favorable in society and unequal fortune is a necessary, though not deleterious, part of society. Man’s social nature is not completely fulfilled in the State or the market. The poor and disabled are to be cared for. Man was not created for this physical existence and the foundation of morality is in God. Fundamentally, collectivism and individualism are Humanistic in nature and together, each in their own way, reject objective morality and rely solely upon man’s reasoning. 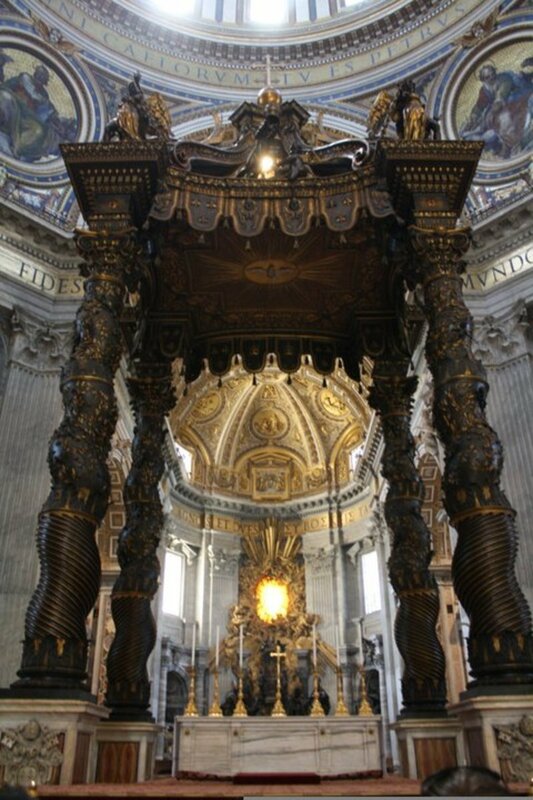 Is Catholic Social Teaching correct? I'm in between on this one. Darwin, Charles. The Descent of Man. 2nd ed. Vol. 1. New York: J. A. Hill and Company, 1904. Engels, Friedrich. Anti-Dühring. 3rd ed. Moscow: Progress Publishers, 1975. Gellately, Robert. Lenin, Stalin, and Hitler. New York: Vintage Books, 2008. Hayek, Friedrich A. The Fatal Conceit. Vol. 1. Chicago: University of Chicago Press, 1991. Hayek, Friedrich A. 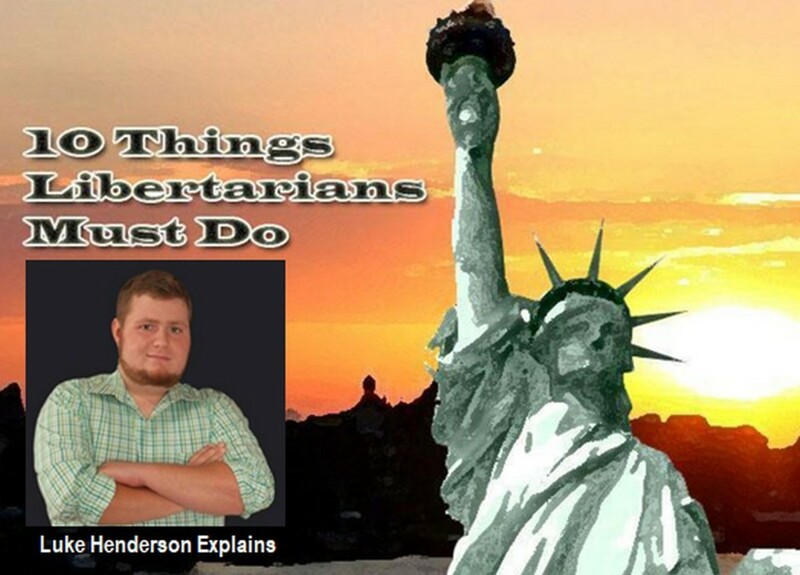 Law, Legislation and Liberty. Vol. 2. Chicago: University of Chicago Press, 1976. Heilbroner, Robert L. The Worldly Philosophers. 4th ed. New York: Simon and Schuster, 1972. Hume, David. A Treatise of Human Nature. Vol. 2. London: J. M. Dent & Sons Ltd., 1923. Locke, John. Second Treatise of Civil Government. Cambridge: Cambridge University Press, 1964. Malthus, Thomas R. On the Principle of Population. Vol. 2. London: Temple Press Letchworth, 1914. Marx, Karl. The Communist Manifesto. New York: Simon & Schuster Inc., 1964. Marx, Karl. Critique of Hegel's 'Philosophy of Right'. London: Cambridge University Press, 1970. Médaille, John. The Vocation of Business. New York: Continuum International Publishing Group Inc., 2007. Mises, Ludwig von. 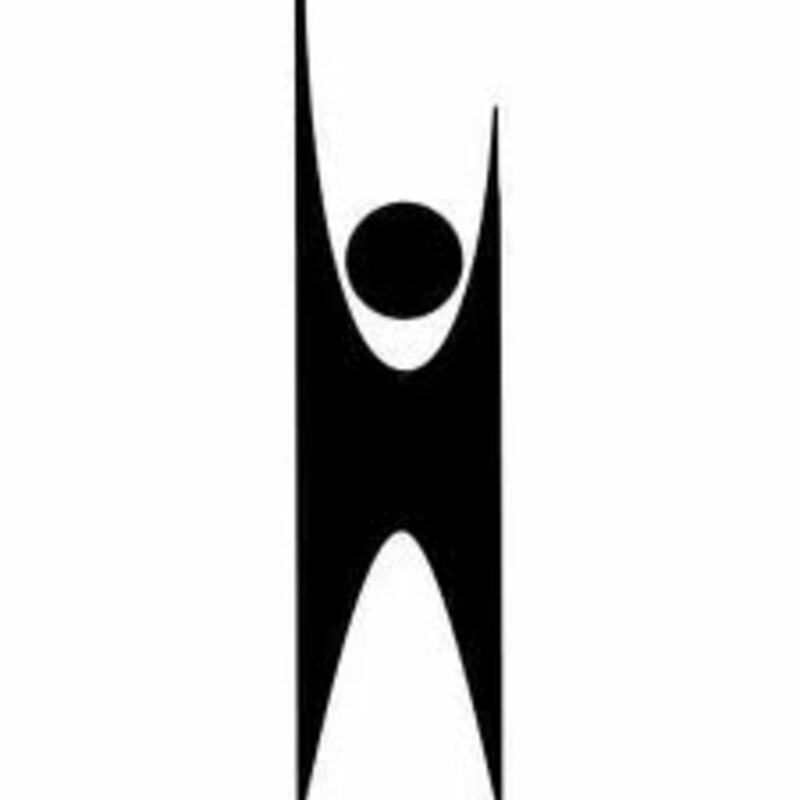 Human Action. 3rd ed. New York: Yale University Press, 1966. Rand, Ayn. Atlas Shrugged. New York: Penguin Books USA Inc., 1992. Rand, Ayn. The Fountainhead. New York: Penguin Group, 2002. Sanger, Margaret. Woman and the New Race. New York: Dodo Press, 1920. Smith, Adam. The Wealth of Nations. New York: Random House Publishing, 2003. Médaille, Vocation of Business, 18. Locke, Second Treatise, V. 305. Hume, Treatise of Human Nature, II, 127. Smith, The Wealth of Nations, I, Ch.2. Malthus, Principle of Population, III, Ch. 1, 9. Ibid., IV, Ch. 5, 179. Médaille, Vocation of Business, 53. Marx, Communist Manifesto, II, 82. Engels, Anti-Dühring, I, Ch. 4, 58. Marx, Critique of Hegel's Philosophy of Right, 131. Gellately, Lenin, Stalin, and Hitler, 235. Hayek, Law, Legislation, and Liberty, 109. Hayek, The Fatal Conceit, 140. I couldn't agree with you more IstCitizen! And thank you sir! Thank you for this great hub. I've been interested in this subject also. A few years ago upon reading Atlas Shrugged, I was drawn to Rand's Objectivism, but I could never quite reconcile it with my Catholicism. In the context of the current polarized politics here in the US, it seems that the conflicts all boil down to Collectivism vs. Individualism. I am distressed by the turn we've taken down the path of Collectivism. I see the ideas of Marx and Sanger quitely taking hold under the disguise of happy sounding names like Liberation Theology, and Planned Parenthood. As I consider the Obama government, I am noticing that there is a common thread running through nearly every policy. It is population control. The green energy agenda isn't rational, unless it is really about the suppression of resources in order to promote Population Control. It aggressively pushes the idea that there are too many of us and too few resources. Likewise, the health care agenda doesn't make sense unless it is really about consolidating power. With unchecked power, the government can and does issue mandates on contraception and supports the abortion industry. ObamaCare moves us towards state control of reproduction and end of life issues which is one way to control population. Also, the promotion of gay-marriage tends to encourage lifestlyes that don't produce offspring. The active growing of government, excessive regulation, taxation and monetary mismanagement all tend to suppress jobs and lead people to believe that we are over-populated. You are correct to point out that Catholic Social Teaching checks the abuses of both Collectivism and Individualism. Unfortunately, many are so deeply invested in their ideology, that is it easier to attack the Church than to honestly consider her social teaching.